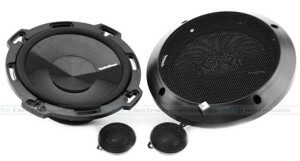 Rockford Fosgate Speakers began its journey in the area of car audio in 1973, after determining the need of difference in car audio system and home audio systems. They make a perfect blend of technology and music to give passionate listeners a good music surround. 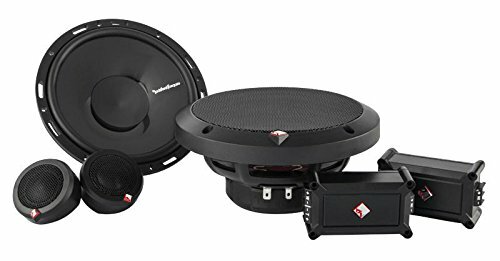 Rockford Fosgate P165-S 6.5’’ Speakers comes with vertical Attach Surround technique. 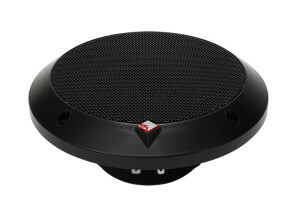 This increases the area of the speaker by 25% and hence, enhances the quality of the sound. It is done by changing the design and manufacturing technique which replaces the large flat glue surface area, and in turn increases the cone area. This dramatically increases output capabilities and nominal efficiency. It also has Flex Fit basket design, which makes it easy to fine tune the speakers mounting position. And this increases the benefits and surrounds sound. ICC is integrated Concealed Crossover. It provides the aesthetic of a cleaner look the speaker and no wiring and crossovers are visible. Car audio fanatics will love the Punch series 6.5" component system. With its new Flexifit basket its really wasy to fit. This is one of the best car speakers to get, price point under 100$ makes it even better! Great speakers for the money. This speaker weighs 5.1 pounds and measures 6.5 X 7 X 3 inches. Hence its small size and weight adds a lot of advantage in installing it anywhere, even in small places and car doors. 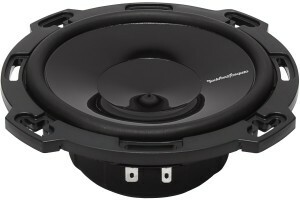 Click here to see other 6.5 car speakers.